In this chapter we investigate the first four problems presented in Chapter 3. All these problems include dynamic boundary conditions (which involve the derivatives of v(0, t), v(1, t); (BC.2) also include integrals of these functions). 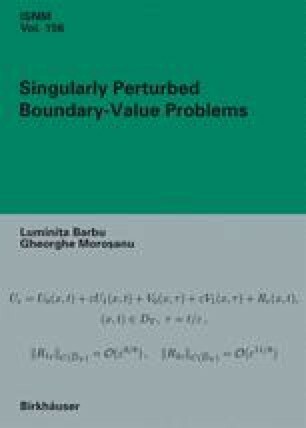 Note that all the four problems are singularly perturbed of the boundary layer type with respect to the sup norm.